“Instead of focusing on what you can’t do, focus on what you can do,” said Dr. Temple Grandin, pictured below in a photo by Rosalie Winard, to the audience at a talk in Madison, Wisconsin in June this summer. This is a very powerful statement considering that Grandin didn’t talk until she was three and a half years old and was diagnosed with autism in 1950. 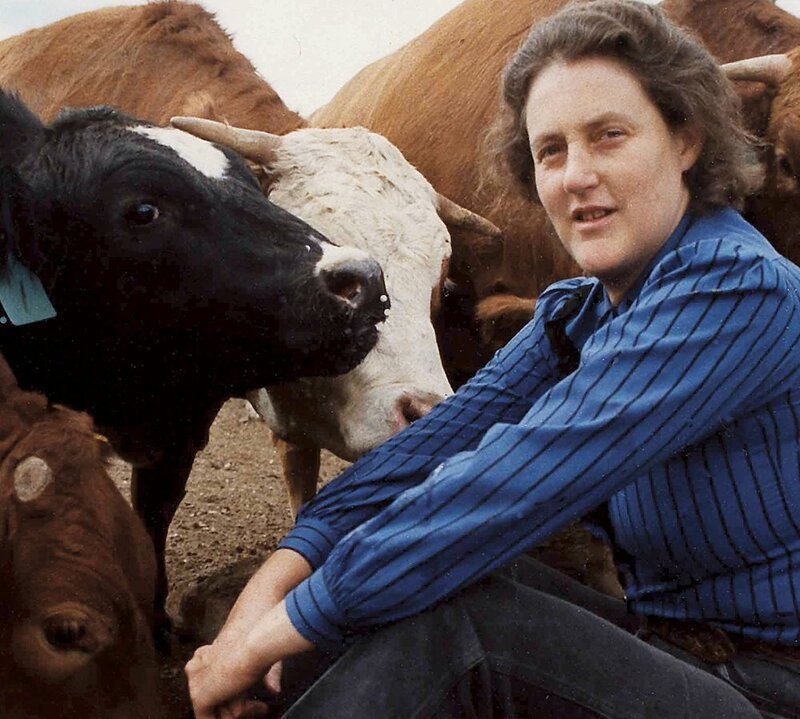 Today she is a professor, world-renowned autism spokesperson, consultant to the livestock industry, author of many books and the subject of the film Temple Grandin. Time Magazine even named her as one of the one hundred most influential people in the world. Grandin’s mother strongly advocated that her daughter not be institutionalized (which was the medical advice of the day). Through steadfast dedication and determination on her part, her family, teachers and many others, Grandin became the woman she is today. She has been credited with using her gift of “thinking in pictures” with making livestock-handling more humane worldwide. She has embraced her unique gifts and strongly advocates that “the world embrace all kinds of minds.” She has become sought-after as one of the world’s leading experts on animal-human communication and horse-based therapies. What does this have to do with running a financial practice? Where is your focus—CAN or CAN'T? If you are like most Financial Representatives (FRs) you might constantly berate yourself for not phoning, not prospecting, not doing case notes promptly, letting things fall through the cracks and so many other perceived failings. In my experience, most FRs enjoy certain aspects of running a practice more than others. FRs shine in some areas and struggle in others. I have never met someone who is perfect in every aspect of the business and loves it all. What CAN you do? For a moment, let’s set aside the CAN’T and harness the CAN. Start by taking an inventory of what you CAN do very well. What do you perceive that you CAN’T do very well? Begin by celebrating what you are already good at. Do more of it and let yourself feel accomplished. Next, see if any of your strengths can help you with any of your perceived weaknesses. For example, let’s say that you are a prospecting powerhouse. Prospecting is something that comes pretty easily for you. But phoning…oh the hideous pain! The rejection! The dread! If you can prospect well you’re in a great position. You can barter with another FR who likes to phone and split the QSs or do joint work. You can hire a part-time or virtual phoner. You can experiment with email, texting or other ways of setting meetings. Let’s say you enjoy phoning but prospecting feels like grim death. What are you good at that will help you build a phoning list? Perhaps you have a trusted friend who is a strong advocate. Use your strong relationship-building skills and prospect with someone you’re already really comfortable with to help you get your feet wet.. If you’re a whizz at social media, you might network through LinkedIn, Facebook or other online site to connect with others. Good at golf? Invite some of your best clients out for a round of golf and meet new people. Work through your “CAN’T” list one by one until you can find a creative way to do it YOUR way. Chances are you are steadily building your strengths, confidence, and abilities more every day. It is possible to build a very successful practice using what you are already good at and inventively working through the rest. Try removing “CAN’T” from your vocabulary and instead ask yourself, “what CAN I do?” Give yourself permission to delegate, defer and workaround areas where you need to. Keep going! You are in the same boat with everyone else—a wonderful group of talented, bright and imperfect people doing the best they can. Coaching Tip Take inspiration from Grandin and use your unique way of doing things to your advantage. Even though your methods may be unconventional, as long as they are compliant, there are endless ways to run a successful practice. Be true to yourself and do not apologize for blazing your own trail. Newer PostDo You Rush, Make, Force or Ask Clients in the Close? Find Out! Older PostAre You Leading or Doing?